How To Use Granite Mosaic Tile? The granite mosaic tile is not very popular. Some times,the designers will use special design for buildings.At present, we know the marble mosaic tile is most popular. Is that mean the granite is not suitable for produce this product? Generally speaking,the peoples always like beautiful stone mosaic.In addition,we know marble material always rich colors change.Of course, there also with nice texture too. 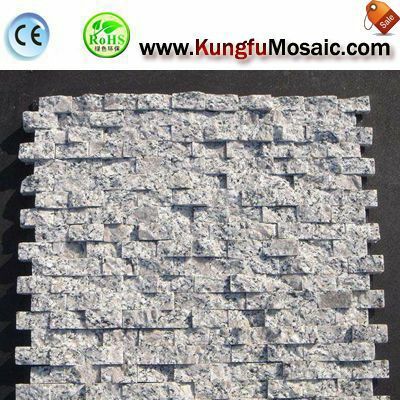 In the daily life, some customers interest in granite mosaic tile product. Meanwhile,they like use it for interior too. Could We Use This Product For Interior Wall? We know the granite stone with high hardness. In general,this material is not suitable for produce mosaic product.But there always has some special granite also can do in simple shape mosaic too. Of course, we can use it to the outdoor, but also can use it to interior too. Whatever for flooring tile or wall facade tile,etc. If you like use this product for wall tiles. Meanwhile,you have to confirm with designers and suppliers together. Is This Product Price Is Cheap? At first, the natural granite with long time use at outdoor. The peoples always use it for construction too. Is all product in cheap price? In general, the answer is yes, but we know that also depends on the product pattern too. If the design is simple,and mostly with very nice price.